It is important that medicines are administered correctly, in order to provide correct drug doses, yet not all healthcare professionals are expert in the area. This accessible book provides a definitive guide to best practice in administering medicinal formulations. 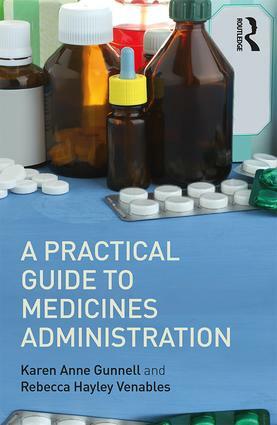 A Practical Guide to Medicines Administration is a key resource for both student and practising pharmacists who counsel and advise patients on the use of their medicines. It will also be a useful reference for nurses, nursing associates, assistant practitioners and healthcare assistants.